Two bags are sitting on the table in front of you. The first bag contains legal hemp. The second one contains illegal marijuana. Can you tell which is which? Neither can state troopers at a traffic stop. On January 24, 2019, Dennis Palamarchu, an interstate truck driver, had 6,700 pounds of hemp in his rig. Mr. Palamarchu had picked up the load at Boones Ferry Berry Farms in Hubbard, Oregon. 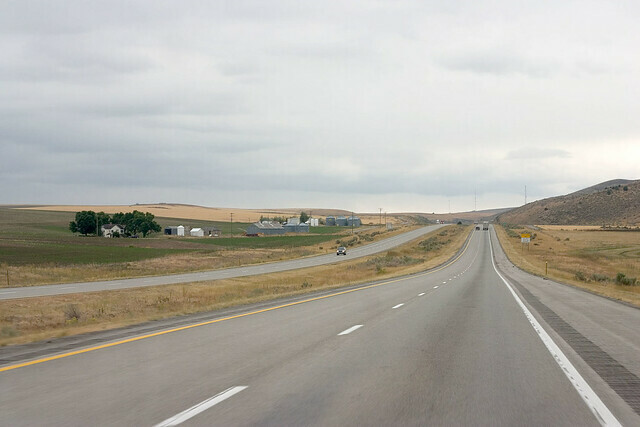 Before he reached his destination at Big Sky Scientific, LLC (“Big Sky”) in Aurora, Colorado, the Idaho State Police stopped him on I-84, outside of Boise. Mr. Palamarchu indicated that he was hauling hemp. He did not try to run or escape, and he never tried to dispose of the load. 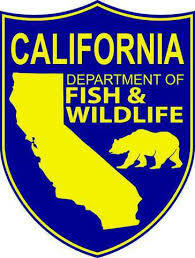 The bill of lading showed that the shipment consisted of approximately 7,000 pounds of hemp. The Idaho State Police arrested Mr. Palamarchu for felony trafficking in marijuana. The recent events in Idaho and Oklahoma are inevitable consequences of the passage of the Agriculture Improvement Act of 2018, Pub. L. 115-334 (“2018 Farm Bill”). The 2018 Farm Bill provides that no state shall be allowed to prohibit the transportation of hemp through the state. However, a product that contains more than 0.3% THC – in the eyes of federal law – is marijuana, not hemp. Unlike hemp, marijuana still is subject to state statutes and the federal Controlled Substances Act. The legal distinction between hemp and marijuana is too subtle for the human eye, or a trained K-9’s impressive nose, and it has created a quandary for interstate hemp shippers like Mr. Palamarchu and Big Sky. The court recognized, “[a]t some future date, industrial hemp that has been ‘produced in accordance with subtitle G’ will undoubtedly be transported in interstate commerce across states like Idaho that have not legalized industrial hemp.” In the meantime, however, the court found that Idaho could keep Big Sky’s cash crop, which sits deteriorating in the possession of law enforcement. Big Sky has appealed to the United States Court of Appeals for the Ninth Circuit. The hemp market is projected to approach $2 billion by 2020. By then, hopefully, federal law will clarify what it means for hemp to be “produced in accordance with subtitle G.” In the meantime, Idaho’s House of Representatives recently passed a bill that would allow hemp producers from the 41 states that have legalized hemp to transport their crops and products through Idaho, so long as they get a permit from the state and do not unload any of their cargo there. Idaho Senators then added a section to that bill, announcing their intent for Idaho to legalize hemp in time for the 2020 growing season. The House, however, never signed off on the Senate amendments, effectively killing the bill. Until such a bill becomes law, transporters of interstate hemp should consider taking the long way home. 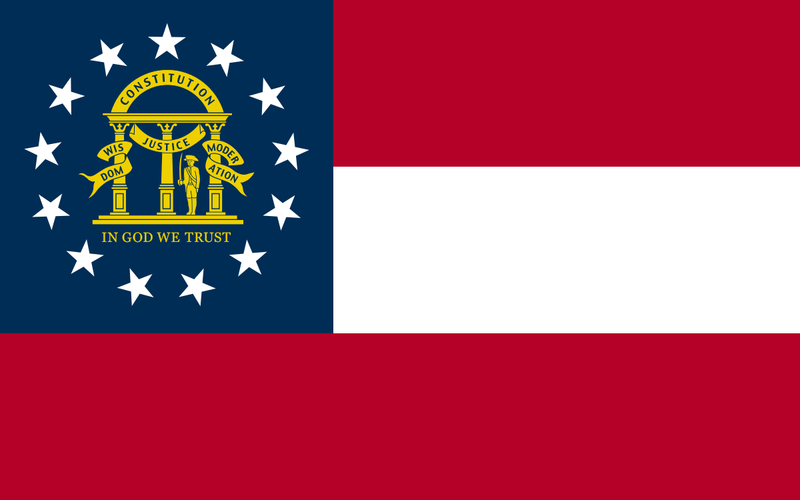 On Wednesday, April 17, Georgia Governor Brian Kemp signed HB 324 into law, closing a loophole that has been around for years, which prevented the cultivation of cannabis in-state. Before the signing of this bill, possession of medical cannabis was technically legal, but the cultivation of it was still illegal under state law, preventing legal patient access entirely. Back in 2015, Georgia’s legislature legalized medical cannabis with less than 5% THC, as well as CBD oil for a number of qualifying conditions. Since then, the state has added more qualifying conditions such as chronic pain and PTSD, bringing the total to sixteen types of illnesses that would qualify patients for medical cannabis. Governor Kemp signing HB 324 into law sets in motion the process to establish a regulatory framework for six growing licenses in the state. According to WSB-TV Atlanta, the new law goes into effect on July 1, but it could take up to two years to establish legitimate cultivation operations in the state. The law gives a state commission the authority to investigate and establish the regulations further. The Canadian federal government is going where the U.S. (for now) is not: namely allowing provinces to channel federal agricultural funds into commercial cannabis production on the provincial level. The program is called the Canadian Agricultural Partnership (or CAP), which is a $2.2 billion annual initiative designed to support agricultural businesses across the country. So far, not every province has opened this funding to cannabis production, although British Columbia already has, and Alberta is currently considering it. Even more intriguing of course, are other programs that tie into such agricultural subsidies (including government support for exporting product). See Europe for one. These programs are of course nothing new, including in the United States. What is new, different and intriguing, is that unlike the United States, for the first time such government funds are being used to support not only the domestic cultivation of cannabis, but its global export. If there ever was the beginning of a “green new deal” then this might be it. Canadian companies are certainly seeming to benefit from this federal largesse at the production point. For example, in the first weeks of April, CannTrust Holdings Inc. announced that its entire 450,000 square foot, perpetual harvest facility in Pelham, Ontario is fully licensed and will be online by summer 2019. THC BioMed just announced that it received Health Canada’s permission to begin additional production at its flagship location in Kelowna, B.C. 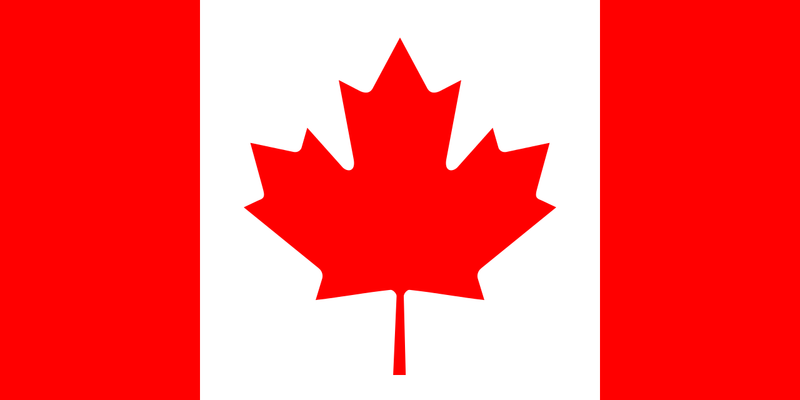 And Beleave has just commenced sales of cannabis oil products at licensed facilities in Hamilton, Ontario. One of the more intriguing impacts of the rise of government funding for the industry comes at a time when the industry itself, certainly coming out of Canada, is facing a bit of a zeitgeist moment. Sure, the industry has gained legitimacy, and there might be nascent cannabis funds in the UK, Switzerland and Germany, but the entire “public cannabis company” discussion is hitting a bit of a reset at the moment. It was after all, ostensibly “public” Wayland that just dusted much higher fliers from the stock price perspective on winning the German cultivation bid. In fact, some insiders on the ground have commented that it is precisely because Wayland is not a stock market favorite, rather focused on fundamentals that they got chosen in the first place. Starting with the old-fashioned idea of committing resources and elbow grease to create production on the ground, locally. There are also firms who are benefitting from the first tax funds that have flowed to promote the hemp industry (those are available from state governments here). However, it is not just Germany where this discussion is going on in Europe right now. In Spain, there is political discussion about ensuring that the nascent and valuable cannabis industry does not end up in the control of “outsiders.” Namely international firms who have more of an eye on profit than community building. The idea of the cannabis industry as an economic development tool has certainly caught on in Europe (see Greece and Macedonia). And core in that idea is that the euros generated by this still remarkably price-resilient plant, and the products produced from it, should stay local. For now, and certainly in Canada, federal public funding looks pretty much like a fancy agricultural grant. But in the future as prices drop and the wars over strains and “medical” vs. “recreational” really begin to rage in Europe, the idea of government-funded cannabis cultivation may be an idea whose time has come. The German automobile industry, for example, did not come from nowhere – and even today receives massive government funding. For now, certainly in Deutschland, that is not the case with cannabis, but things may be changing with the resolution of the first tender bid. In the future, in other words, as countries across Europe begin to think about posting their own production bids and Germany contemplates additional ones, government funding of the industry and certainly incentives to help its growth will become much more widespread. 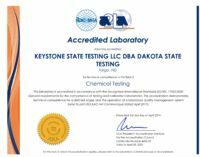 According to a press release published on April 3, Keystone State Testing (doing business as Dakota State Testing) became the first laboratory authorized to test cannabis in North Dakota. 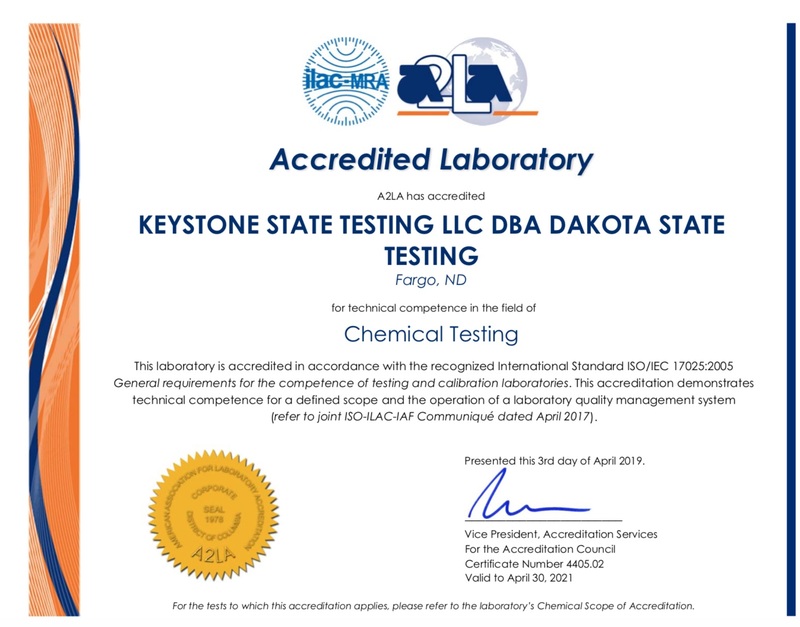 The lab also obtained their ISO 17025 accreditation for cannabis testing from the American Association of Laboratory Accreditation (A2LA), which is another first achievement for cannabis testing in the state of North Dakota. 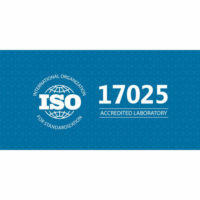 Keystone State Testing’s ISO 17025 accreditation scope covers 11 testing methods at their facility in Fargo, North Dakota. Those methods include: Cannabinoid potency analysis, cannabinoid profile, moisture content, residual solvents, water activity, along with microbiological tests like total yeast and mold count, E. coli, Salmonella, total aerobic microbial count, among others. Editor’s Note: This is the second piece in a two-part series delving into tax issues. Part one discussed tax code 280E as it pertains to cannabis businesses. Part two will go into research and development credits, 199A and a discussion of risk as it relates to Qualified Opportunity Zones. While 280E is the most influential code section for the cannabis industry, structuring never happens in a vacuum. There are many open questions that each business must answer for themselves without court adjudication. We believe that among the riskiest of questions is whether a cannabis business can claim research and development credits. There is no clear legal authority that either allows these credits or disallows them but certainly utilizing such credits comes at great risk. At the beginning of this article we talked about Congress and the purpose of 280E. Congress’s intention was to make sure that only the minimum required tax deductions were available to Schedule 1 and 2 sellers. A cannabis business receiving a research and development credit would not be with the intension of Congress. While the credits would be computed based on COGS expenditures, at this time we do not believe that a cannabis business should take this credit. Disallowance of COGS would create a constitutional challenge which is why Congress allowed the COGS deduction. Disallowance of Research and Development Credits does not open up the same constitutional issue since the credit is not part of COGS although calculated based on COGS expenditures. 280E states very clearly that credits arising from other code sections are disallowed in the entirety. 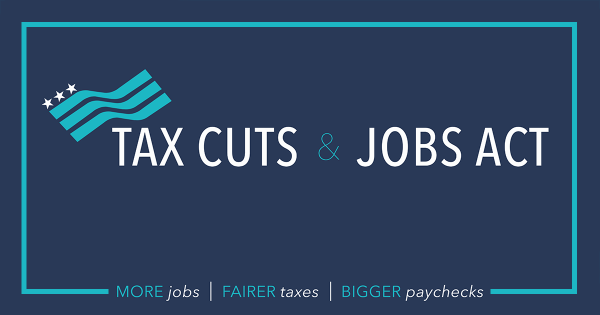 More recently the Tax Cut and Jobs Act (TCJA) opened up new issues for cannabis companies that are still unfolding. Two of the most publicized are Qualified Opportunity Funds and Section 199A, the 20% deduction (Qualified Business Deduction). The 199A deduction allows eligible pass-through entities to claim an additional deduction of 20% of the income (subject to certain limitations) at the individual level potentially lowering the tax rate from 37% to 29.6%. While the American Institute of Certified Public Accountants (AICPA) and others have asked the IRS to clarify if 280E would make a cannabis business ineligible, the final regulations on the subject did not address this issue. There are other significant limitations and hurdles in 199A regulations that any business would have to first pass to be considered for the rate deduction. If a cannabis business meets all other eligibility and limitation criteria, should the pass-through income to their investors be qualified income under 199A? The answer will depend on whether the courts will treat this “deduction” as falling under the general prohibition of 280E. We believe that there is a reasonable chance that the courts will allow the 199A deduction for cannabis companies. That does not mean, however, that we advise cannabis companies to claim this on their pass-through returns as Qualified Business Income. Much like everything else, it depends on the particular business and the risk profile that management is willing to tolerate. This is one area of tax law that is sure to be challenged in court. The more risk-averse business should pass on claiming this deduction on their returns, but monitor development with an eye to amending at a later date if favorable precedent emerges. If the amounts are large enough, consideration should be given to applying for a Private Letter Ruling, but that also has its own tax risks. Another new tax incentive that was in the TCJA was Section 1400Z or Qualified Opportunity Zones (QOZ). The incentive allows for the deferral of capital gains until December of 2026. The use of 1400Z also results in up to a 15% decrease in capital gains tax- and tax-free appreciation if all requirements are met. While the IRS has only released proposed regulations and we anticipate significant changes to them when they are released as final, there was nothing in the proposed regulations limiting cannabis businesses from using Qualified Opportunity Funds (QOF) in their structure. It is interesting to note that the TCJA and proposed regulations did list other types of businesses that could not make investments under 1400Z along with all its benefits. Liquor stores, golf courses and sun tan parlors were among those listed but cannabis growers and dispensaries were not. As the industry continues to mature, new issues and precedents will require CPAs and attorneys to find new solutions to best serve the industry.Using Opportunity Zones to entice investors sounds like a great opportunity, but there are significant risks. The first risk is that the proposed regulations, while currently proposed, may not be final. There is always a chance that the IRS will take a different position when the final regulations are released and add cannabis to the type of businesses that do not qualify. Another risk, and one that was previously mentioned as part of 199A and other areas of structuring, is that the IRS and the courts can always disagree with the taxpayer’s position. This is a new area of tax law and will eventually be litigated. The loss of the Opportunity Zone benefits can significantly change the return to the investors and lead to other issues. All of these issues come into play when structuring businesses in this industry. These issues must be evaluated as they pertain to the business needs. This can be very complex and requires a great deal of research for each business opportunity. We have found that professionals operating in this industry like to know about all of their options. The most important thing we can do for the industry is to continue to educate the professionals working in it. Accountants should be available to assist their clients and their clients’ attorneys with structuring techniques aimed at asset protection and minimizing 280E disallowances. Accountants should also be ready to speak to the questions outlined above and be prepared to explain the risks associated with each choice. As the industry continues to mature, new issues and precedents will require CPAs and attorneys to find new solutions to best serve the industry. An educational and networking event for cannabis safety and quality solutions: Innovative Publishing and Cannabis Industry Journal are pleased to present the first annual Cannabis Quality Conference & Expo (CQC). 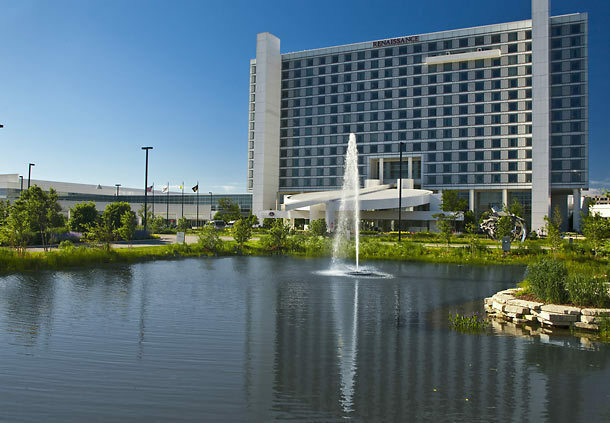 The conference will take place October 1-3, 2019, hosted at the Renaissance Schaumburg Convention Center in Schaumburg, Illinois. The inaugural CQC will consist of two separate tracks: The Cannabis Labs track, focused on all things cannabis lab testing, and the Cannabis Quality track, focusing on quality in cannabis product manufacturing. Sharing an exhibit hall and meeting spaces right alongside the Food Safety Consortium Conference & Expo, the CQC allows cannabis professionals to interact with senior level food quality and safety professionals, as well as regulators. Visit with exhibitors to learn about cutting-edge solutions, explore two high-level educational tracks for learning valuable industry trends, and network with industry executives to find solutions to improve quality, efficiency and cost effectiveness in a quickly evolving cannabis marketplace. With the cannabis industry in the Midwest growing at a rapid pace, the CQC offers attendees, exhibitors and sponsors unparalleled access to explore these emerging markets, their regulations, opportunities for business growth and best practices from the more established food industry. For information on speaking opportunities and to submit an abstract, click here to view the Call for Proposals. The CQC will be accepting abstracts for consideration until June 3, 2019. For information on exhibiting, as well as additional sponsorship opportunities, contact RJ Palermo, Sales Director, rj@innovativepublishing.net, (203) 667-2212. Take advantage of this chance to connect with cannabis industry and food safety professionals in the Greater Chicago Area. Don’t miss this opportunity to network with hundreds of industry stakeholders, get the latest on regulatory developments and see the newest technology disrupting the cannabis space. Editor’s Note: This is the first piece in a two-part series delving into tax issues. Part one discusses tax code 280E as it pertains to cannabis businesses. Part two will go into research and development credits, 199A and a discussion of risk as it relates to Qualified Opportunity Zones. Stay tuned for Part two coming next week! When building a knowledge base in the cannabis industry as a CPA, one’s tax research typically starts with Internal Revenue Code (IRC) Section 280E. For those that are unfamiliar, 280E is only three lines long. With this in mind, we at Janover realized that we needed to understand the context for this highly influential tax section. The genesis of 280E dates back to 1981 with a Tax Court case: Jeffrey Edmonson v. Commissioner. The decision in this case was that a seller of cocaine, amphetamines and cannabis could deduct most business expenses, cost of goods sold, packaging, home, phone and automobile expenses relating to the seller’s illegal business. In 1982, 280E was enacted to reverse the Edmonson decision and deny sellers of Schedule 1 or 2 controlled substances the right to deduct business expenses. Under the Controlled Substances Act, the federal government defined Schedule 1 drugs as drugs that have no currently acceptable medical use and a high potential for abuse. Since cannabis is classified as a Schedule 1 drug, cannabis businesses were unable to deduct most business expenses. All deductions and credits for amounts paid or incurred in the illegal trafficking in drugs listed in the Controlled Substances Act are disallowed. To preclude possible challenges on constitutional grounds, the adjustment to gross receipts with respect to effective costs of goods sold is not affected by this provision of the bill. As the Senate Report explanation provides, 280E specifically excluded cost of goods sold (COGS) from the disallowance of deductions. This treatment was affirmed by the Tax Court in 2012 in Olive v. Commissioner (139 T.C. 19 2012). To date, there are not many cases that have dealt with the tax issues of 280E. 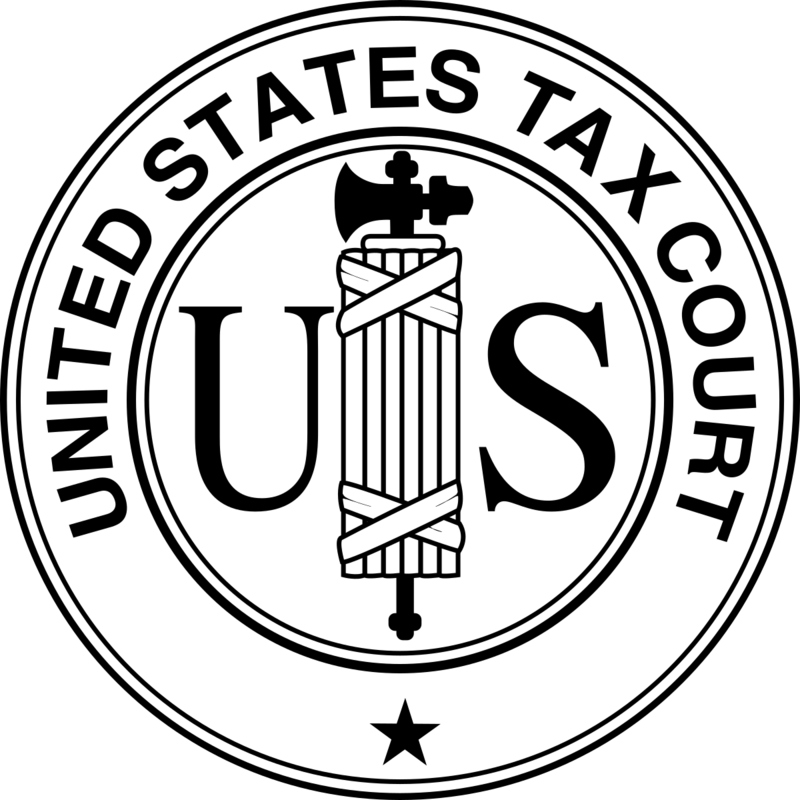 In a 2007 decision involving Californians Helping to Alleviate Medical Problems (CHAMP), the Tax Court ruled that a taxpayer may deduct expenses allocable to an affiliated business that was separate from the entity “trafficking in a controlled substance.” In CHAMP, the legal caregiving business, which was a separate business, was able to deduct the allocated portion of shared expenses. This set a legal precedent that allowed a taxpayer engaged in the selling of a Schedule 1 or 2 controlled substance to distinguish expenses incurred on behalf of other non-prohibited business lines and deduct these expenses. In addition to these court cases, tax professionals can rely on IRS Chief Counsel Memorandum CCA 201504011. The IRS Chief Counsel released this memorandum in January 2015 in order to respond to questions the IRS was receiving from practitioners. Although Chief Counsel Memoranda, in general, may not be cited by taxpayers as precedent, this memorandum is the current and best authority outlining the IRS’s position with respect to the extent to which a cannabis business may deduct business expenses. The memorandum also refers to IRC Section 162, ordinary and necessary business expenses that would be disallowed, as well as separately identifying certain direct and indirect business expenses that would be allowed. Citing methods in Treas. Reg. 1.471, the memorandum states that a cannabis producer may allocate to inventory and COGS direct production costs, including direct material costs (Cannabis seeds or plants), direct labor costs (e.g., planting, cultivating, harvesting, sorting, etc. ), and transportation or other costs to acquire of the cannabis. It also indicates certain indirect costs that may be taken as COGS. As the industry continues to mature, more cases are finding their way to the Tax Court. On June 13, 2018, the Tax Court issued a ruling in Alterman v. Commissioner that specifically disallowed the use of 263A under 280E and applied only Section 471 to determine COGS. While we need to follow the facts and circumstances of each case, the broad language used might very well disallow capitalizing of inventoriable costs for companies subject to 280E. IRC Section 471 is the general rule for inventory accounting for tax. IRC Section 263A is the uniform capitalization rules for tax. Most businesses need to utilize both 471 and 263A when accounting for inventory and to properly capitalize costs into COGS.This opinion may have lasting effects on the part of the industry trying to create brands associated with their cannabis products. Many resellers and retailers of cannabis thought they could use 263A to capitalize more costs into inventory decreasing their tax burden. The Chief Counsel Memorandum disagreed and more recently the Tax Court in Patients Mutual Assistance Collective Corp v Commissioner sided with the IRS and upheld some of the precedents set in Alterman v. Commissioner. 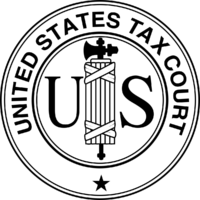 In siding with the IRS, the judge concluded that a taxpayer who is subject to 280E can only deduct costs of goods sold under 471 as the IRC existed when 280E was enacted (in 1982). The taxpayer in the case used two arguments that were not new to the cannabis industry, but to no avail. The first argument was that the business was not trafficking in a controlled substance because the government had abandoned a civil forfeiture action. The second argument that was rejected was that a portion of the business involved branding, marketing and the sales of other non-illegal products. The claimant tried to convince the court that deductions related to these operations should not be subject to the same disallowance of deduction as outlined in 280E. This second argument is very important for structuring purposes. The court used a significant portion of its opinion to address why the entire business is integrated and completely subjected to 280E. This opinion may have lasting effects on the part of the industry trying to create brands associated with their cannabis products. This case has even more implications given part of the ruling in which the courts stated that being state licensed in no way effected the Schedule 1 determination at the federal level and, therefore, subjected them to 280E. The judge went so far as to separate the Department of Justice, which enforces the Schedule 1 status of cannabis, and the Department of the Treasury, which has full authority and enforcement rights to treat cannabis as a Schedule 1 drug subject to 280E for income tax purposes. This ruling made it clear that even if the Department of Justice is not pursing criminal charges against state-licensed cannabis businesses the IRS is not precluded from fully enforcing the Internal Revenue Code. 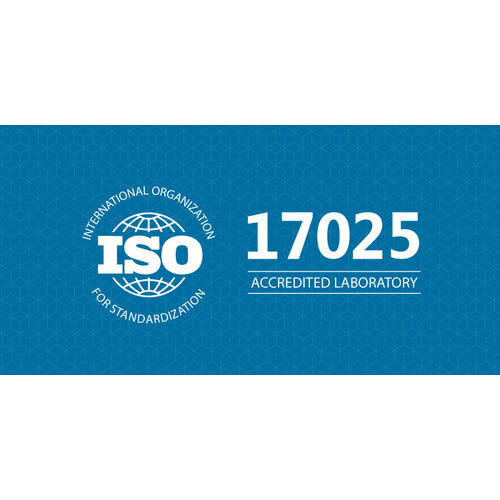 According to a press release published last week, the American Association of Laboratory Accreditation (A2LA) announced the accreditation of GoodCat Analytical, LLC, a cannabis testing laboratory based in Naples, Florida. This marks the first time that A2LA has accredited a cannabis testing lab in the state. The ultimate weekend dedicated to the art & science of growing cannabis. The CannaGrow Expo is open to all, 18+, and is intended for cannabis growers, grow managers, extractors, and grow enthusiasts to explore the latest cannabis cultivation technology, tools, and techniques. CannaGrow Palm Springs will feature a selection of 35+ cultivation-focused educational sessions lead by world-class growers over two action-packed days, endless networking with cultivators from around the globe, and a 125+ booth expo hall packed with the latest tools & technology for growing and extracting cannabis.